I’m so glad I was taking the picture from above this car, instead of in it! Although, the way they were packed in there…I don’t think I would have fit, even if I wanted to. They were packed in pretty tight! For more interpretations of From Above check out Weekly Photo Challenge here. 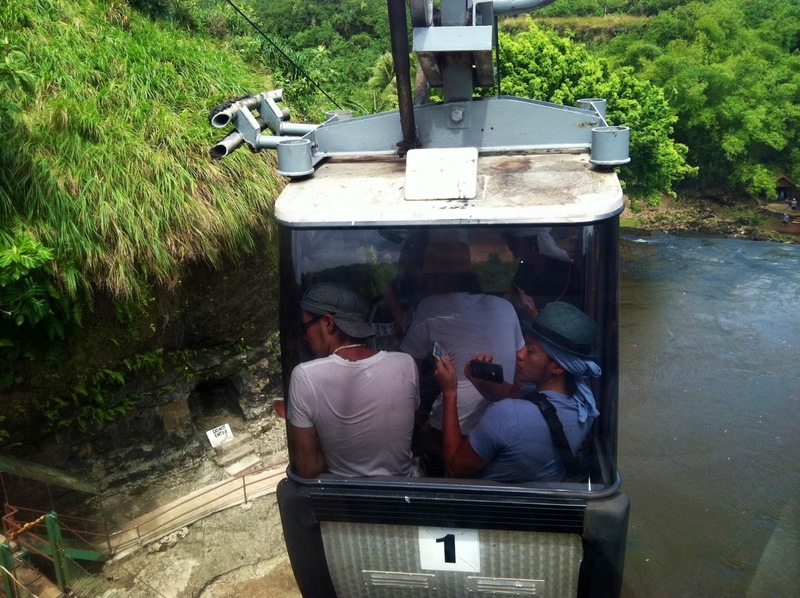 This entry was posted in weekly photo challenge and tagged gondola, Guam, photo, tourist, weekly photo challenge. we were in Guam at one of the tourist attractions on the island. It was pretty interesting! It was about 85 degrees with about 80% humidity – it was so hot and muggy, and all those guys climbed in to one car! Paul and I were the only ones in our cable car, and it was terribly HOT – I can’t even begin to imagine how hot it must have been in that car with those guys – there were about 6 of them in there! 🙂 Pretty crazy! Thanks for becoming a subscriber. Now I’m going to take a stroll through your site.